It is said that some people pass through our life for only a brief shining moment, leaving us and the world around us, better for the meeting. While most of us never met these BookCrossers, we know quite a lot about the kind of person they were simply because they were BookCrossers. We take a moment to pause and remember these people who shared a common goal--that of making the world a library. We lost our friend AceofHearts in September, 2017. Her daughter, BookCrosser HoserLauren, wrote the following tribute to her mom. 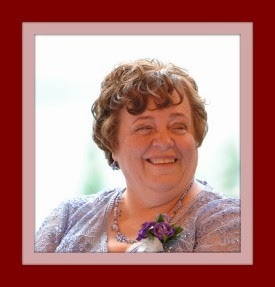 "My mom Dana (AceofHearts) passed away September 17, 2013 after a valiant battle with breast cancer. One of her favourite past times of reading continued to bring her comfort up until almost her last day. Known to other Bookcrossers simply as “Ace”, mom joined Bookcrossing in 2004, shortly after I had joined the site and realized what fun it was. Mom quickly surpassed me in books registered and friends online. She participated in may book rings, books rays, and book boxes. Outside of Bookcrossing, mom also decided to start a book club with her local friends which she really enjoyed. Friends and family will miss her bright personality, kindness, inquisitive nature, and of course her fantastic book recommendations. We would share any book that we rated 8 or higher with each other and I already miss telling her about the recent books I read that I’ve really enjoyed. Mom was a big part of the BookObsessed community, running virtual book boxes, participating in exchanges and recently won the sweeps. She will be missed by many." Dana had so many BookCrossing friends. She will be missed. 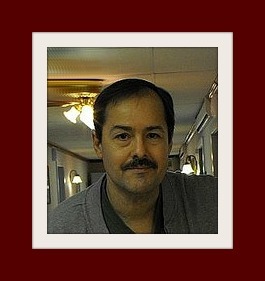 We lost our friend, Tom-m, Tom Mailloux, on October 25, 2012. Tom had been a member of BookCrossing since July, 2002, just a week less than me. Although he battled chronic illness, he was full of joy and interest in those around him. He was always there to send vibes and sympathy and support when a BookCrosser was in need. In looking back through his forum posts, I was struck by how many of his posts were in support of others. Tom was an avid reader, I guess that's no surprise. But he was also a storyteller and an astute judge of people. I think it's because he cared about people so much. He was an optimist and always found the positive in the people around him. He will be greatly missed by those of us who laughed and cried with him through the years. Maryzee was a lovely person. I was lucky enough to know her through the forums and through our mutual enthusiasm for BookCrossing. I never got to meet her in person, but I know we would have been instant friends. Now, I want to share this comment from someone who knew her well. Thanks to Katekintail for sharing this post from the BCinDC blog. "On September 8, BCinDC lost one of our most enthusiastic and dedicated members. 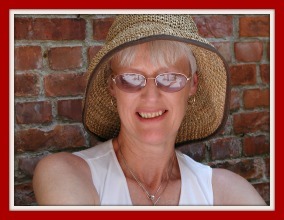 MaryZee was a great supporter of and advocate for BookCrossing. She arranged and managed the BookCrossing table at our local Random House bookfair. At book festivals, she was always excited to not just give books away but explain about going online to see where books had been. She maintained many OBCZs over the years as well as wonderfully themed bookboxes. She was generous with her time–helping out at our convention–and with her books–thrusting them upon her friends with detailed recommendations. Memorial contributions may be made to the American Heart Association, P.O. Box 5216, Glen Allen, VA, 23058. We are grateful for the time Mary chose to spend with us and the books she shared. We are glad we could call such a sweet and caring woman our friend. And everyone in BCinDC will miss her greatly." And everyone at BookCrossing will miss her as well. Notice the shirt! Dunzy left us in August, 2012 and left behind many BookCrossing fans who will miss his wit and love of life. He was one of the early members, having been here almost 10 years. In reading through the forums, all of the posts about him mentioned his wit and intelligence. He loved books and great literature and delighted in sharing and discussing both. 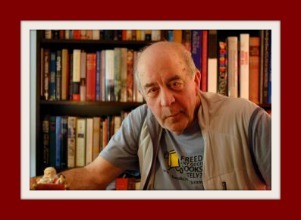 The list of his books on his BC bookshelf is impressive. Jessibud was telling a story about a running joke between the two of them. In earlier BC days, there was a leaderboard of forum posts. He would PM her and tell her their standings on the leaderboard. They kept up this mythical race until the leader board vanished. He spent most of his BC time over in the Book Talk forum. I understand that he was quite active in the Discuss That Quote thread. PaperbackPal said, "He made the world a better place and made millions smile. I hope there's James Joyce and lots of poetry wherever he is!" I second that. We lost Oppem on June 23, 2012. In my quest to learn more, the same words kept showing up over and over-kind, generous, warm, active. I think KiwiinEngland summed it up the best when she said, "Oppem helped create a giving atmosphere in the forum." She was very active in various bookrings the Wishlist Tag group, Birthday RABCK, as well as many of the other things BookCrossers invented to share their love of books. Bookcloud joined BC in 2007, thanks to her sister MadMadge. She passed after a brief illness on May 30, 2012. Since no one knew her as well as her sister, I'll let Madmadge share her with us.
" 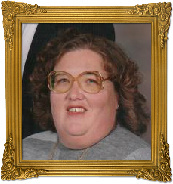 My sister Bookcloud (Sue) passed away on 30th May 2011 suddenly and unexpectedly. She was much younger than me by 12 years so it was a huge shock to me and the rest of the family. Bookcloud had many interests and many friends. We didn’t always share the same reading interests, but she and I were reading our way through the Peter James’ ‘Roy Grace’ series. When I e-mailed him to tell him of her passing he replied almost immediately with his condolences. She loved her books and she has very many on her shelves that she never got around to registering. She had lately been undergoing some painful surgery on her feet. Bookcloud was born with bilateral talipes (otherwise known as club foot), which was operated on when she was a tiny baby. However, that surgery had broken down and she needed further work to enable her to walk without pain. She was so brave, despite all the problems she encountered, and was so looking forward to being able to walk normally again. She was a member of a special site which catered for people all over the world suffering from talipes and was in touch with many of them. She had also campaigned in this country to have the condition recognized by the Department of Work and Pensions as a debilitating condition which warranted a disablement benefit and had heard, only 24 hours before she died, that she had achieved that recognition. She was especially fond of her grandson Ethan and had been collecting Michael Morpurgo books for him so it is good to know that he can read them in her memory. She loved to read to him and he loved the ritual of the bedtime story. She was a strong believer in introducing books to children as soon as possible. Rest in Peace Sue. You will never be forgotten." And I second that. Thank you so much for sharing Sue with us. We lost NWPassage far too young, in May 2012. She loved bookrings, and before her illness, she planned to release 50 books a month to clear her shelves. Her goal was to reach the leaderboard. 'MrsGaskell lost her battle with ovarian cancer in April 2012. She had been a member since 2005. I'll let her friend Gypsysmom share more. "She had been battling ovarian cancer for a couple of years going through surgery and chemo but smiling and reading all the time. 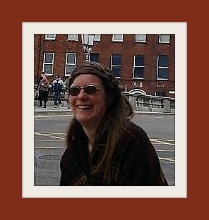 On April 15 she lost that battle and BookCrossing lost a lovely person. She was the first person to catch one of my wild-released books and we became friends thereafter. We had very similar tastes in books and traded a lot of books back and forth. She was very active on the Books forum and started the SIY (Set It Yourself) quarterly challenges which are still carrying on. I miss her almost every day." Joseki passed away in January, 2012. Unfortunately, I didn't know Joseki very well. We had talked on the forums, of course, but I didn't really know him well enough to write something special enough. So, I turned to our friend, Miketroll, for his thoughts. "To my regret, I never met Matthew in real life, but his online presence always made me think of him as a friend. He loved to share a joke, but even more than that he was passionate about building a better world. He was enormously intelligent and knowledgeable, happy to talk about life, politics, science, religion with anyone, and always showed respect for others, never treating them with anything less than kindness. Matthew was a wonderful man. He is greatly missed on the Bookcrossing forum and by his Facebook friends." Thank you Mike. I'm sorry that I didn't know him better. I didn't know Killimengri, so I asked her fellow Irish BookCrosser, Sirroy, to share his thoughts on her. From Sirroy: "Our friend Killi was unique. In her own words she said she was a "mad smallholder living on a mountain, miles from anywhere". She had a small holding with chickens, ducks, geese, horses, ferrets, cats & dogs. She described herself as an occasional artist & designer. Killi had three children, one married, one engaged and one living with her who was a truly remarkable and beautiful young lady. Killi (real name Suzye) had a traumatic and difficult life. She had hemiplegia. She shared stories that would make you shake your head and wonder what was the world coming to. She never complained about any of it. Her humility and gentle nature shone through everything she wrote. If support or advice was needed she never let a Facebook, Livejournal or Yahoo post go without a comment or a piece of advice. Killi was not terribly active in Bookcrossing but somehow she hooked up with the Irish Bookcrossing Group on Yahoo where I think she felt safe amongst friends and kindred spirits. Memorably she joined us on an outing to Cork in February 2007. Because of her remoteness and lack of basics like TV and electricity it was not unusual not to hear from Killi from time to time. It was therefore the most enormous shock to us all when we went to post on her Facebook page on her birthday in March to discover that she had died in a house fire on 17th January 2011, only hours after she had posted about going to feed her beloved horses." Wren again. From the things I've read and heard about her, I can tell that she was a special person and is greatly missed.